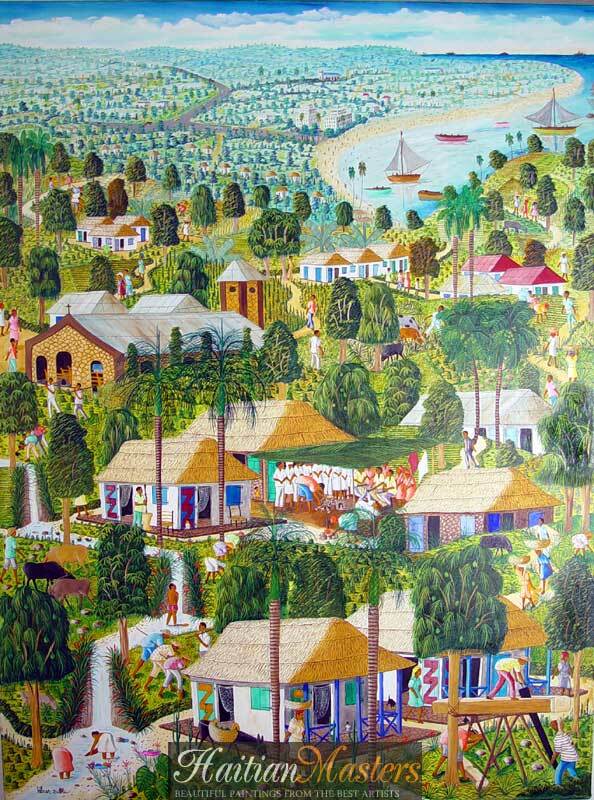 Abner Dubic - Haitian Masters , Haitian Paintings , Haiti Paintings , Haiti Art , Haitian Art ! Born on November 1st, 1948, in Leogane, Abner Dubic is a self-taught primitive artist. 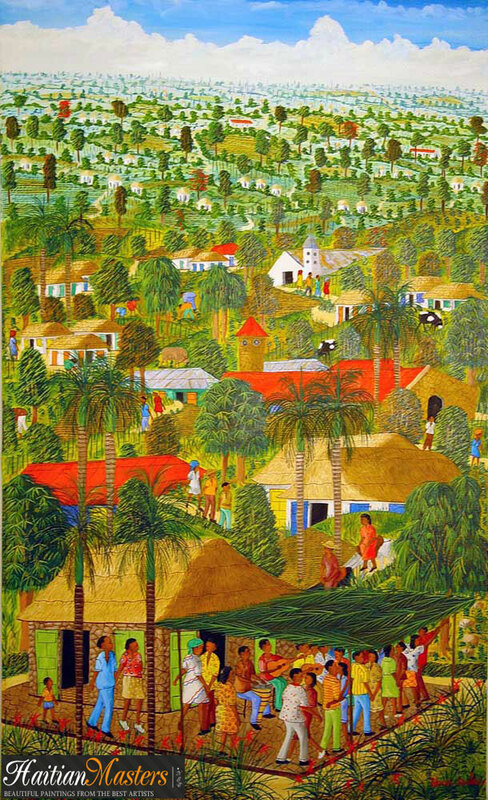 Discovered by the French writer Andre Malraux, an exhibition of his paintings was organized in Auxerre and Paris in 1975. Mrs. Mitterand, former First Lady of France, sponsored another major exhibition of his work in 1991. His paintings are sold all over the world. French designer Pierre Cardin is among the collectors of Dubic's paintings. 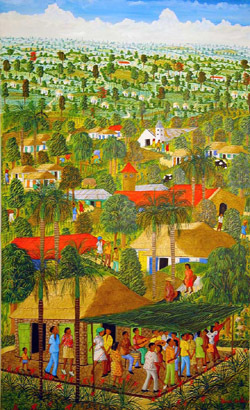 Abner Dubic is beyond dispute a leader in primitive Haitian paintings.